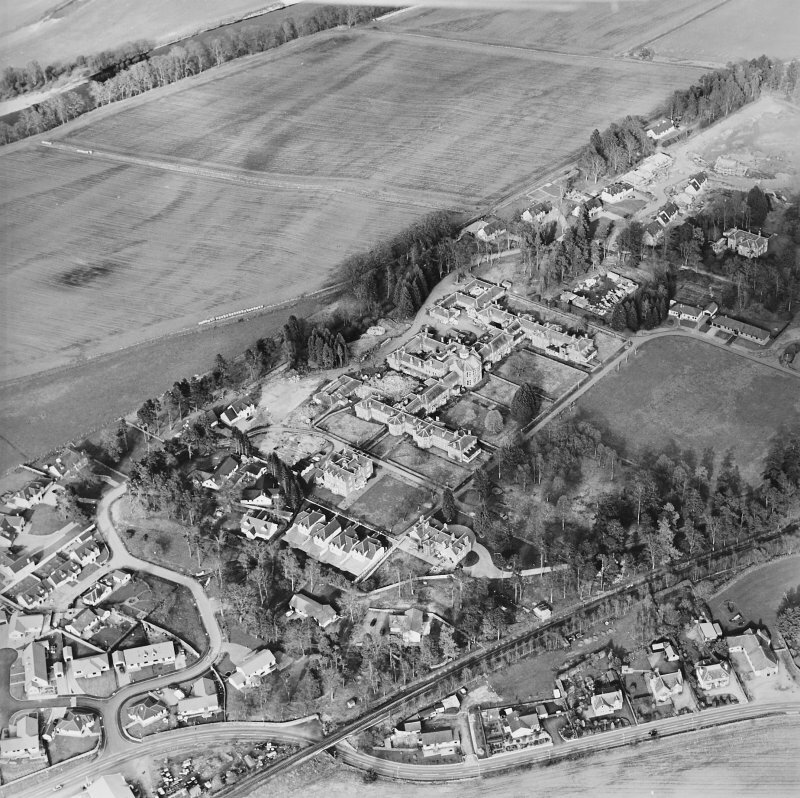 Oblique aerial view of the hospital, taken from the SSW. 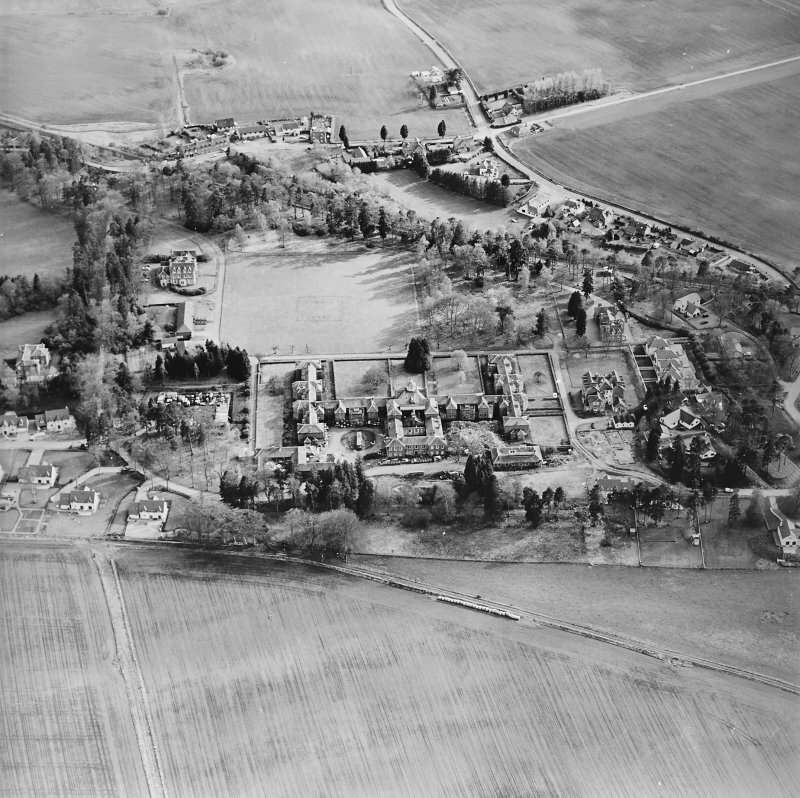 Oblique aerial view of the hospital, taken from the SE. 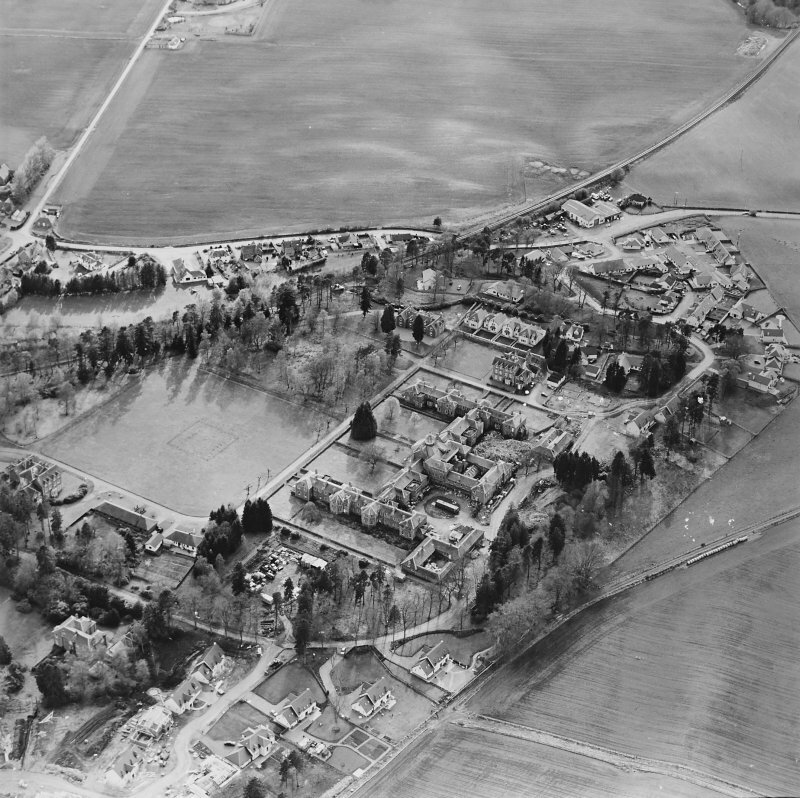 Oblique aerial view of the hospital, taken from the NW. 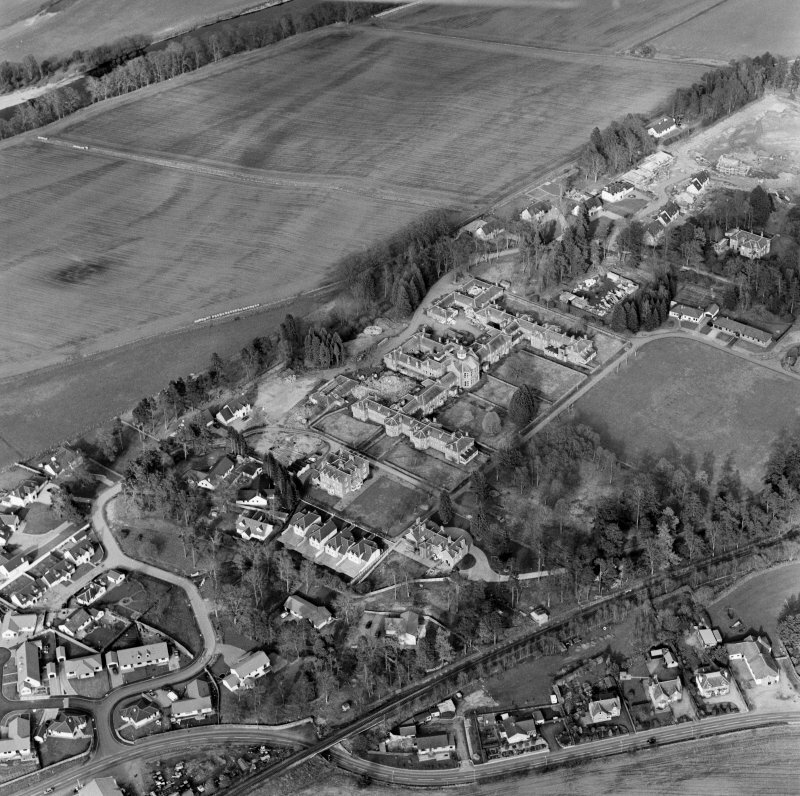 Oblique aerial view of Murthly and Murthly Hospital, looking E.
Oblique aerial view of Murthly hospital, taken from the SW.
Oblique aerial view of the hospital, taken from the N.
Oblique aerial view of the hospital, taken from the SW.
Oblique aerial view of the hospital, taken from the NE. 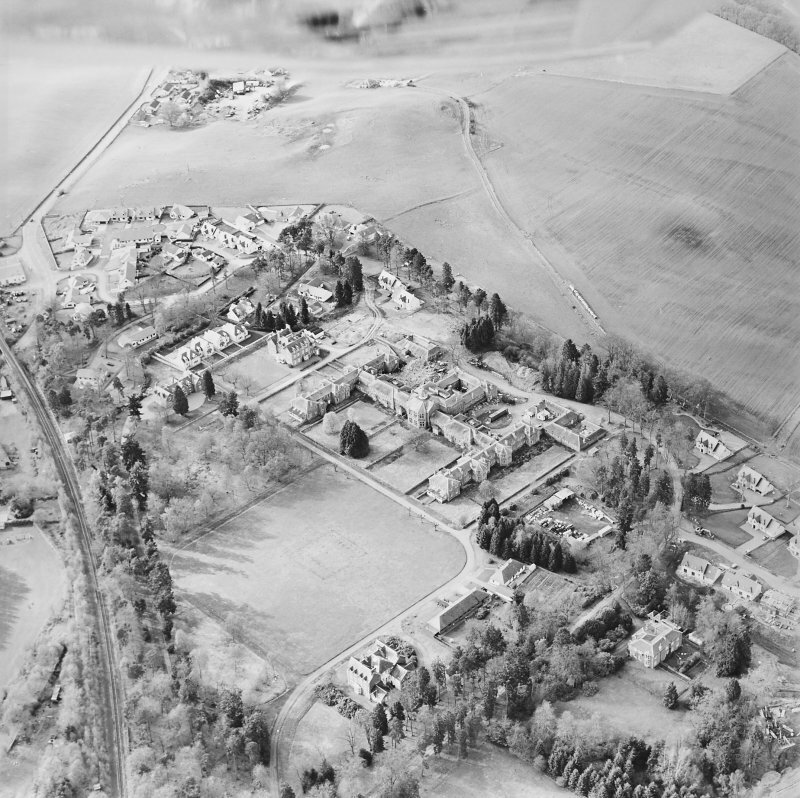 Oblique aerial view of Murthly and Murthly Hospital, looking SE. 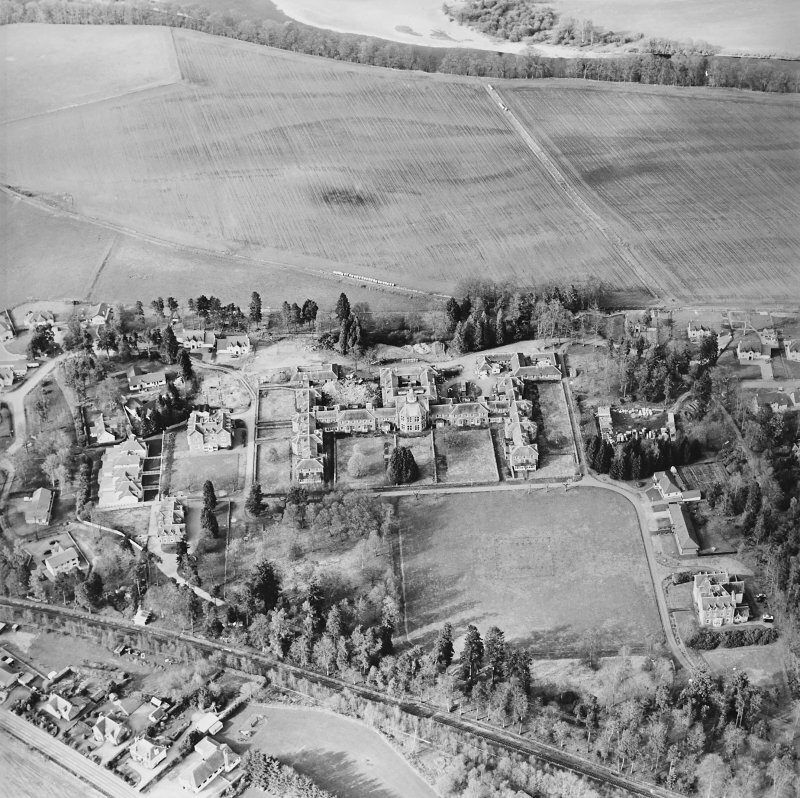 Oblique aerial view of the hospital, taken from the ESE. 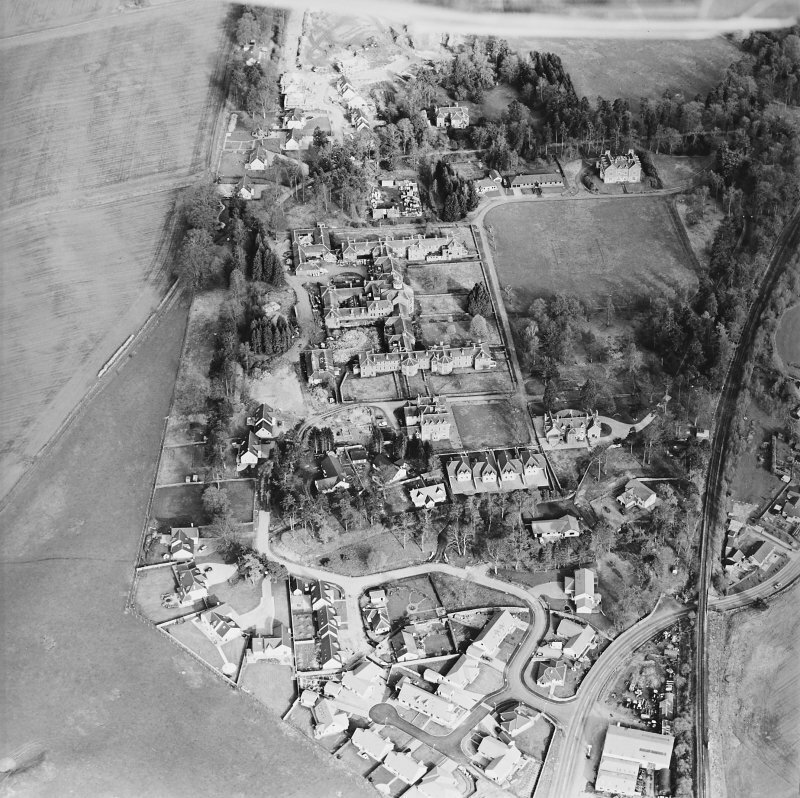 Oblique aerial view of the hospital, taken from the NNE. 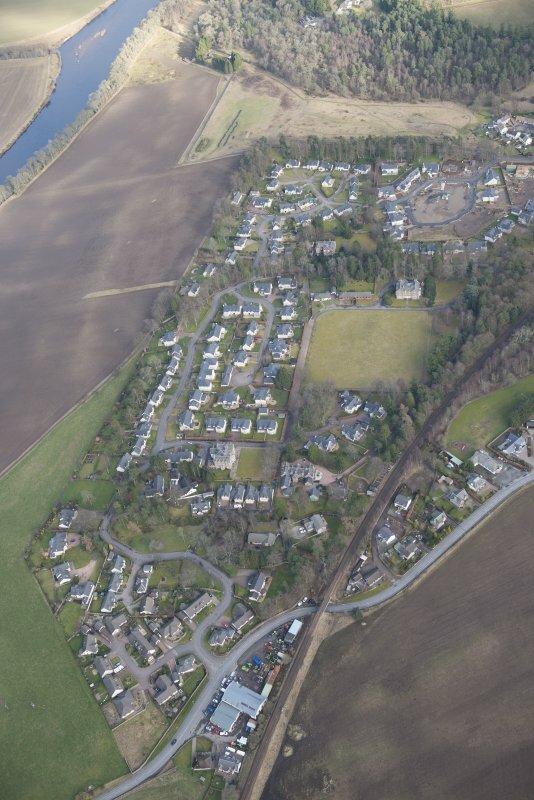 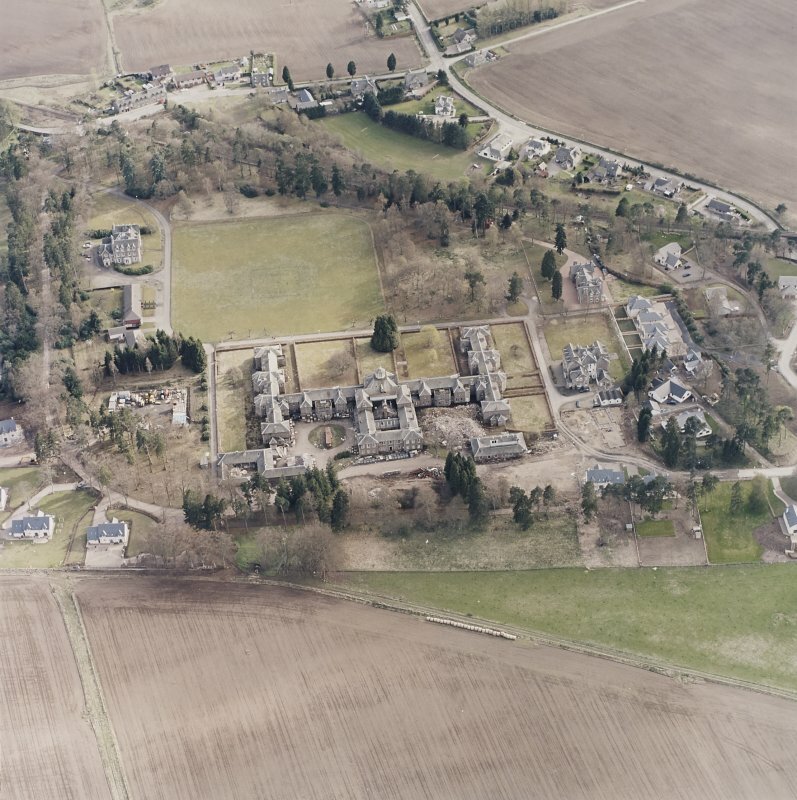 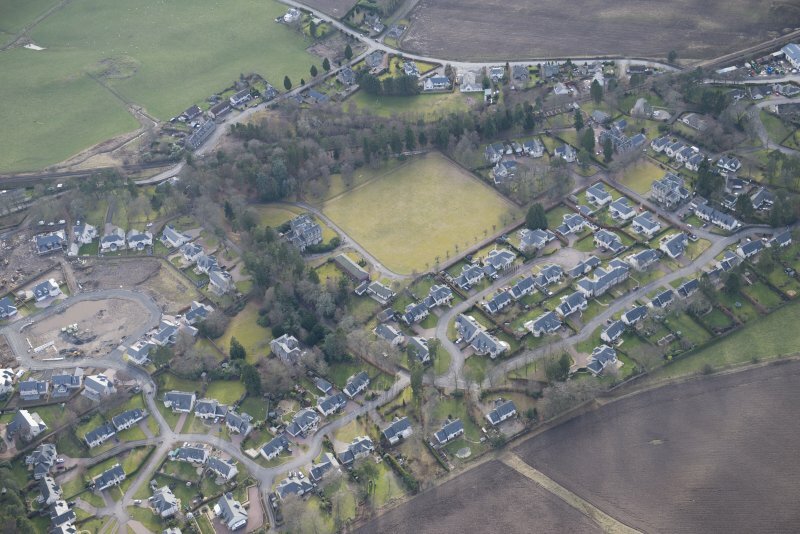 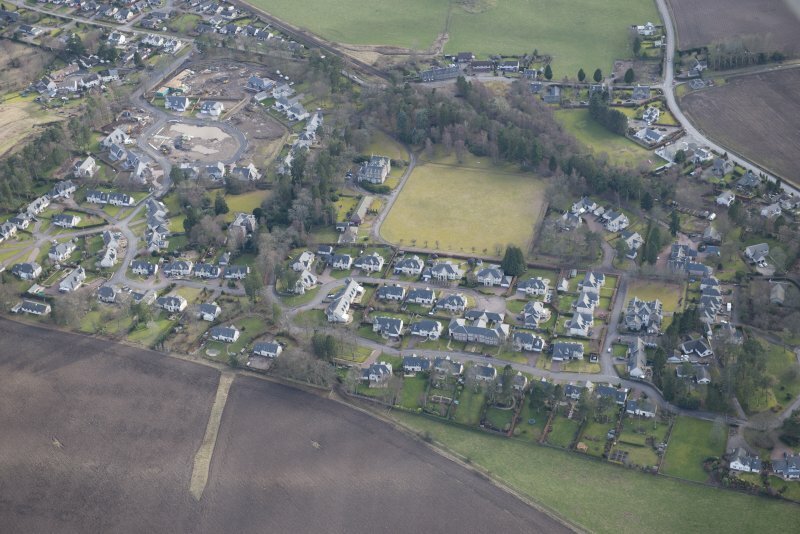 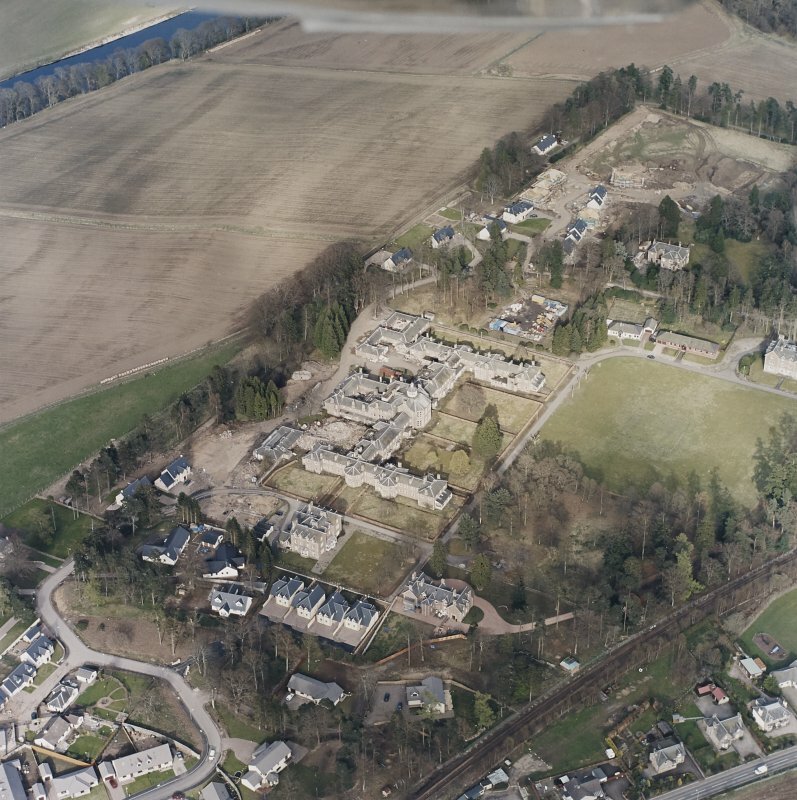 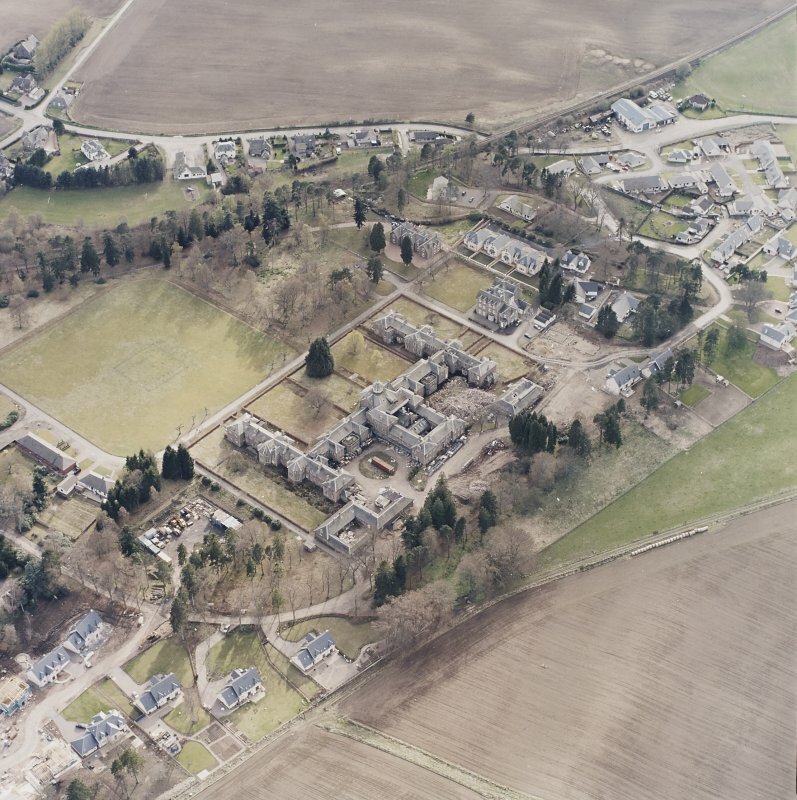 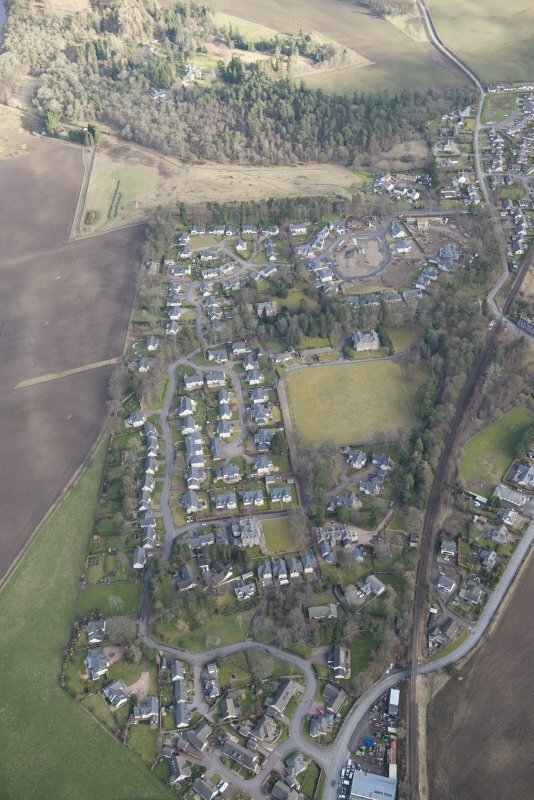 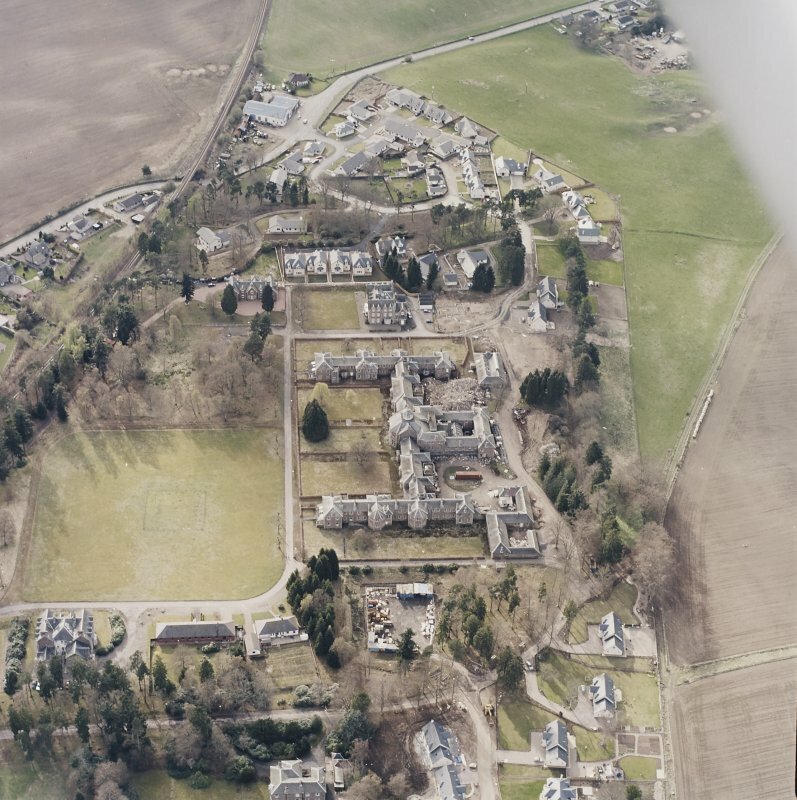 Oblique aerial view of Murthly and Murthly Hospital, looking SW.
Oblique aerial view of the hospital, taken from the W.
Oblique aerial view of Murthly and Murthly Hospital, looking S.
Catalogue of Horticultural Buildings by MacKenzie and Moncur Verandahs: "Erected at Normanie, Jedburgh, Roxburghshire," "Erected at Murthly Asylum, Pertshire," "Erected at Alva House, Clackmannanshire" and "Erected at the Priory, Windermere, Cumberland"
Perth District Lunatic Asylum was opened to patients in April 1864 and closed, as Murthly Hospital, in 1984. 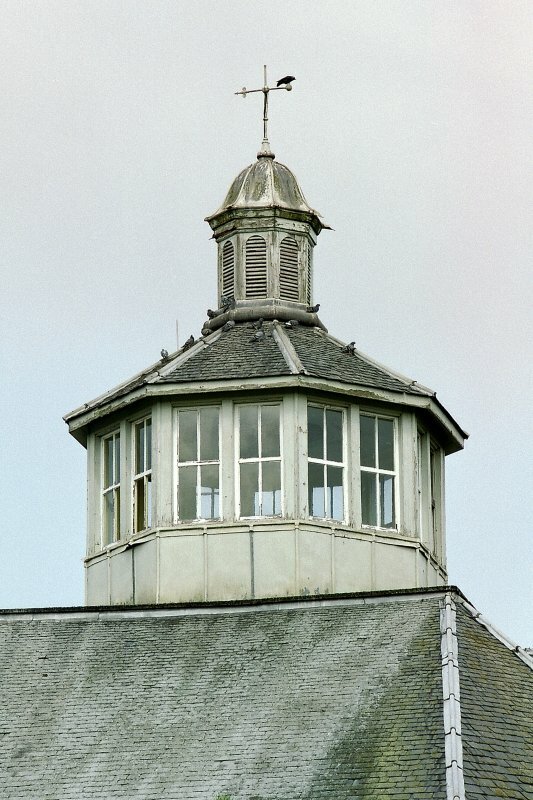 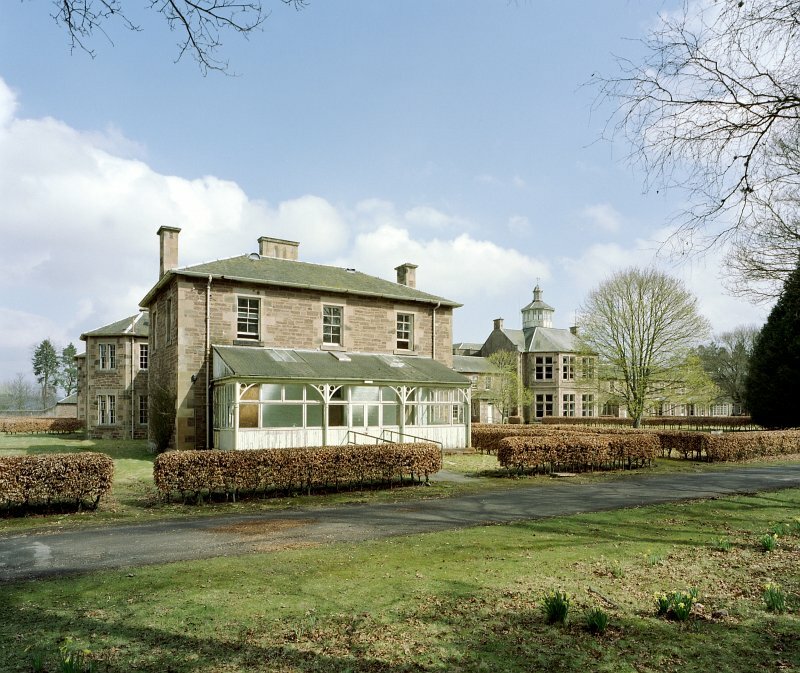 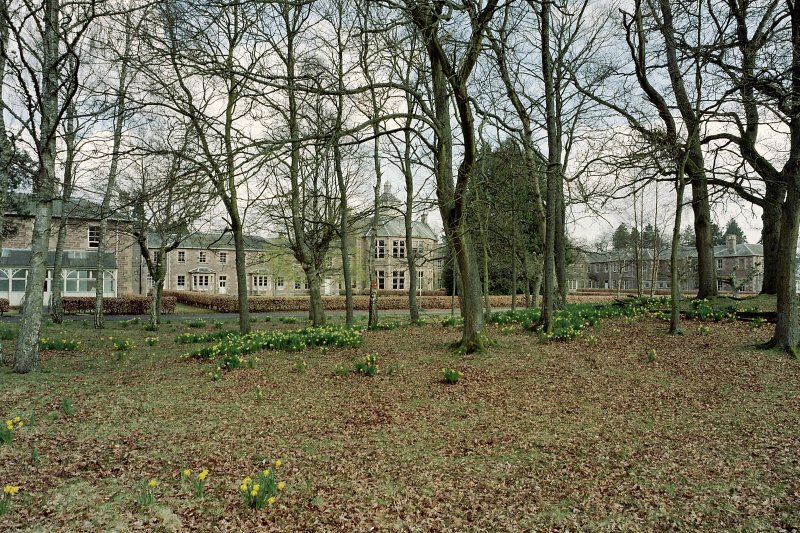 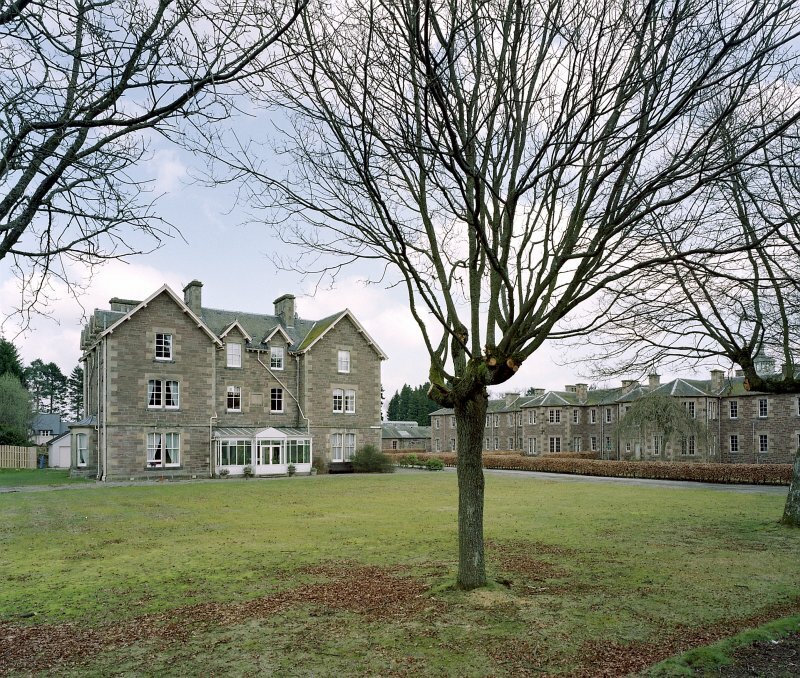 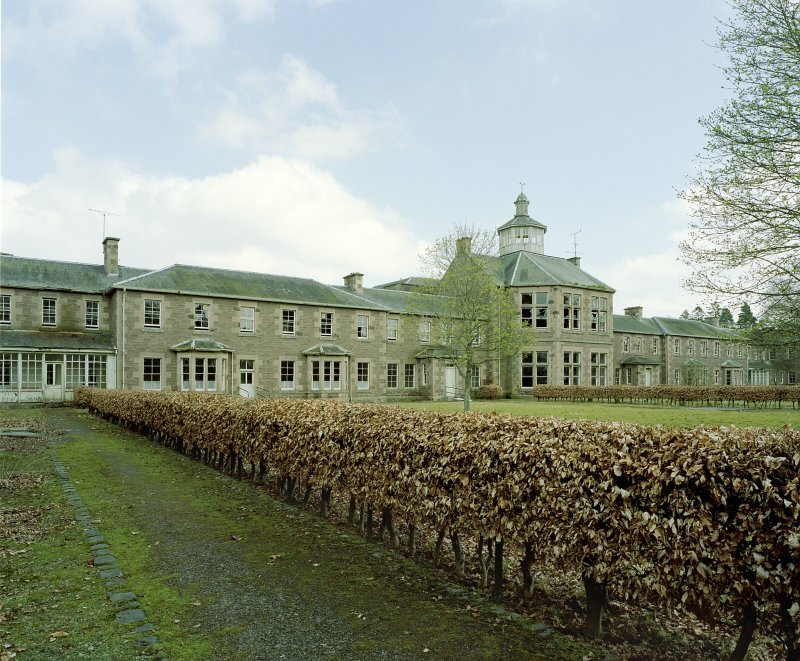 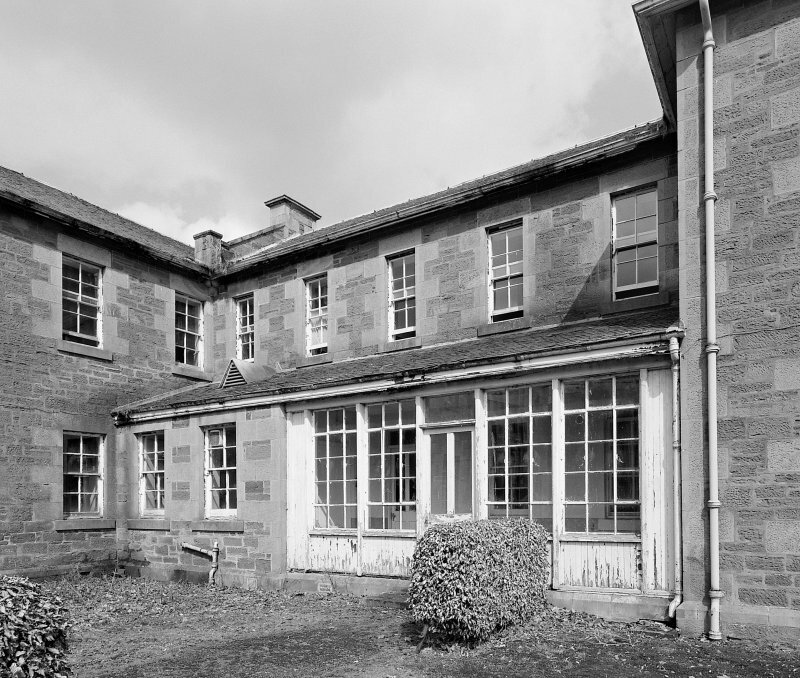 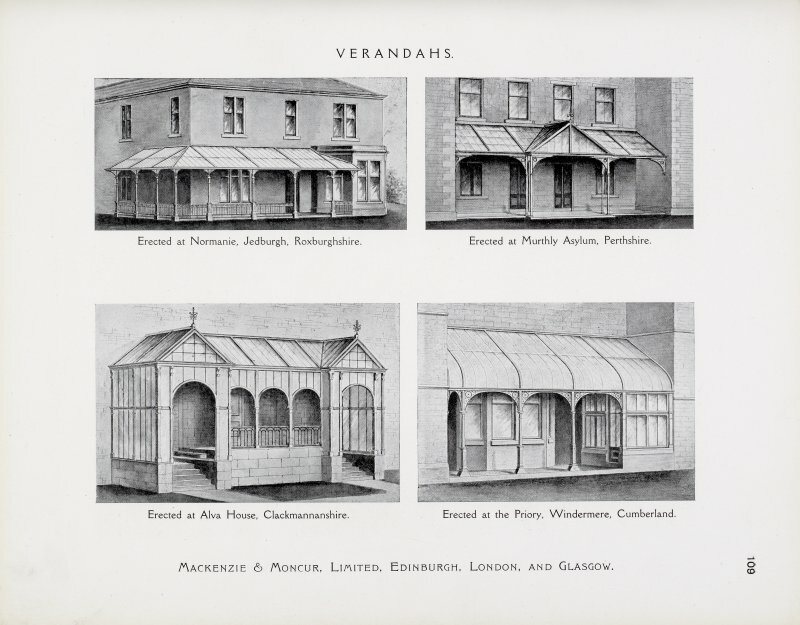 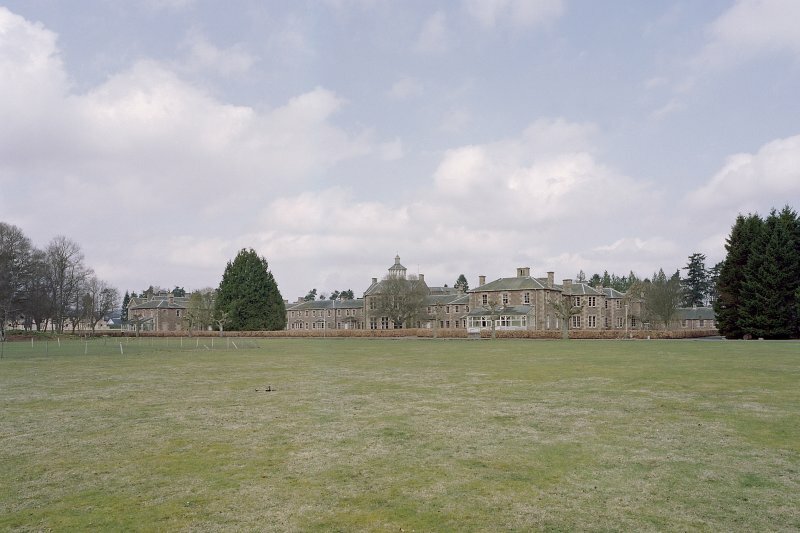 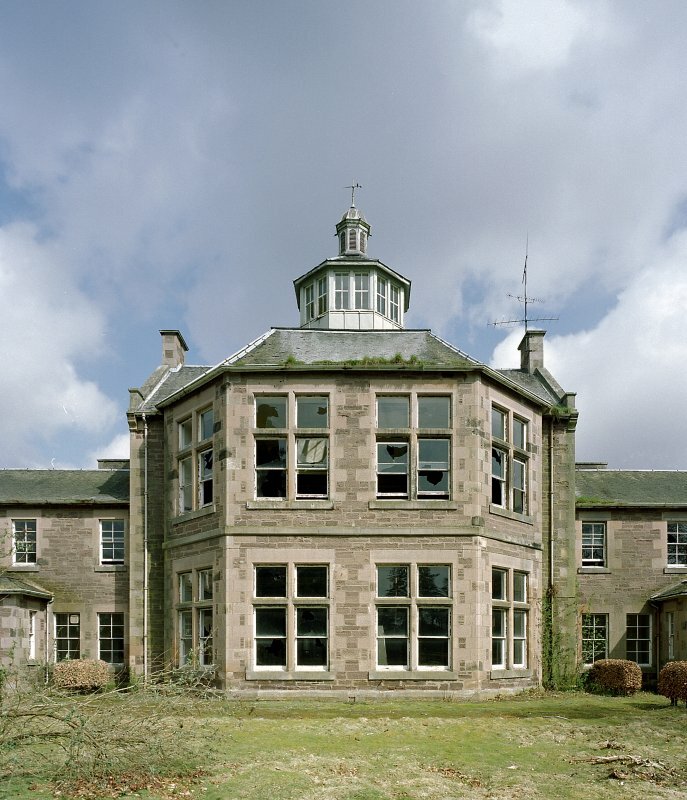 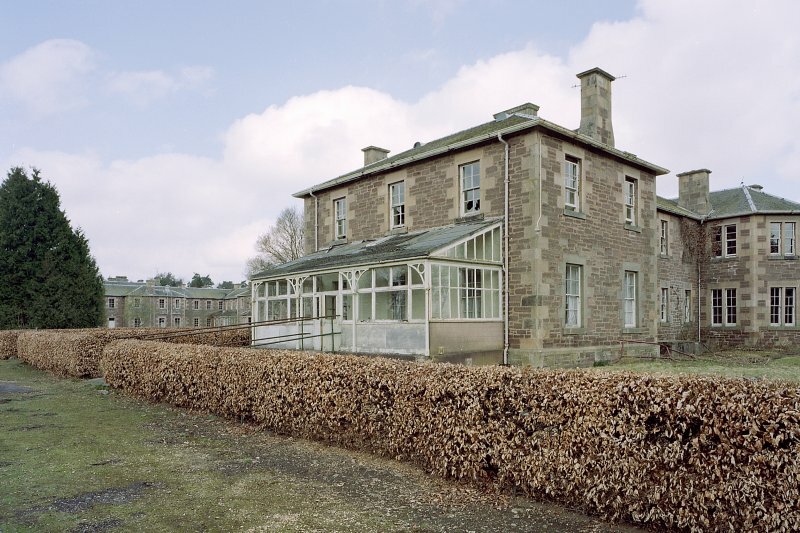 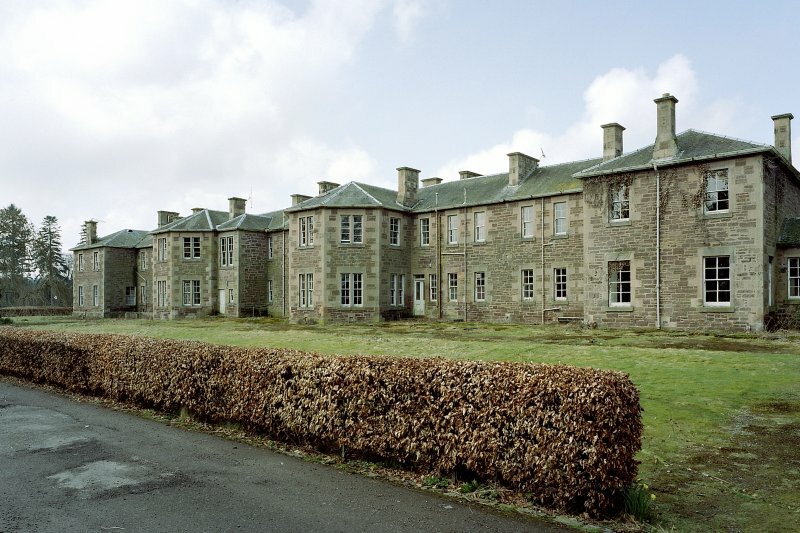 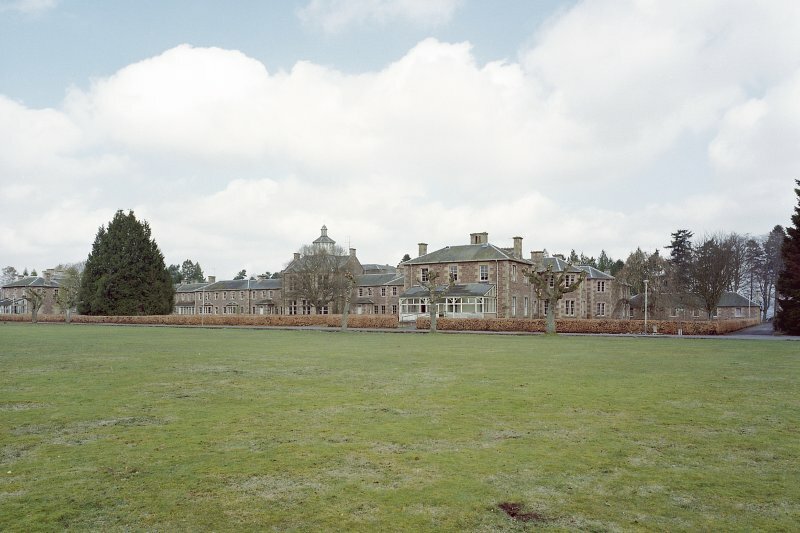 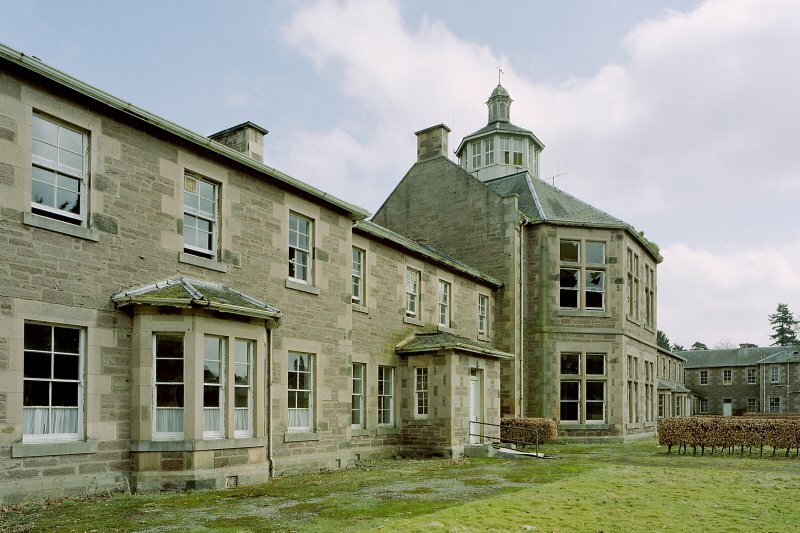 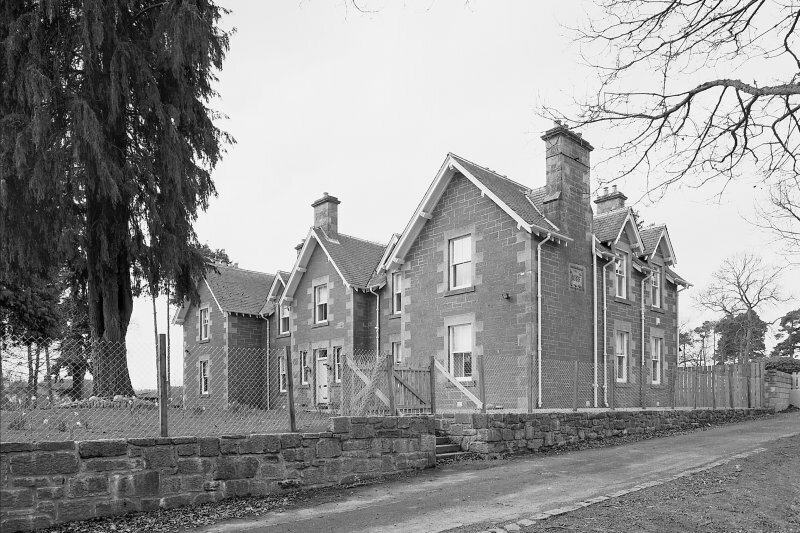 The complex became Murthly War Hospital in the First World War, with beds for 350 other ranks. 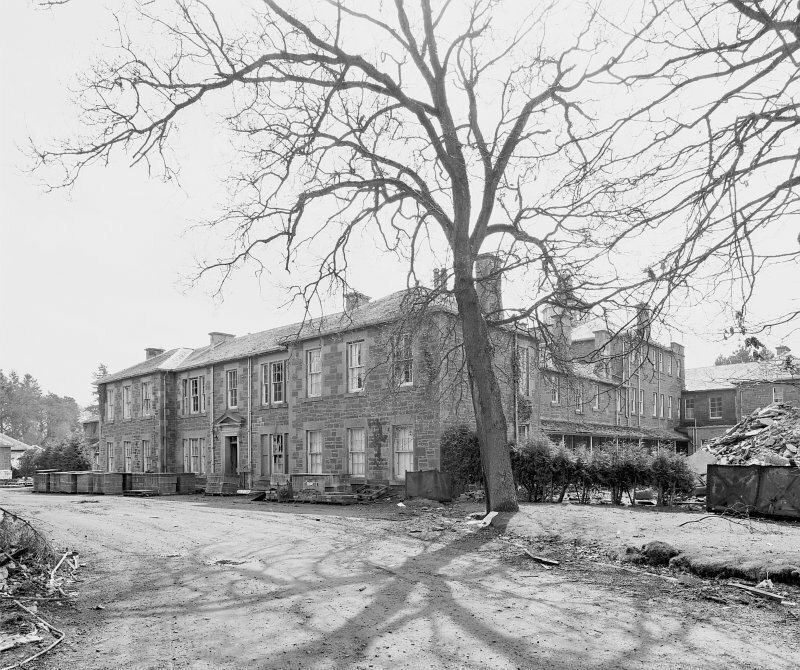 Between January 1917 and March 1919 the hospital was used as a Military Psychiatric Hospital, the civilian patients being moved to other local psychiatric hospitals. 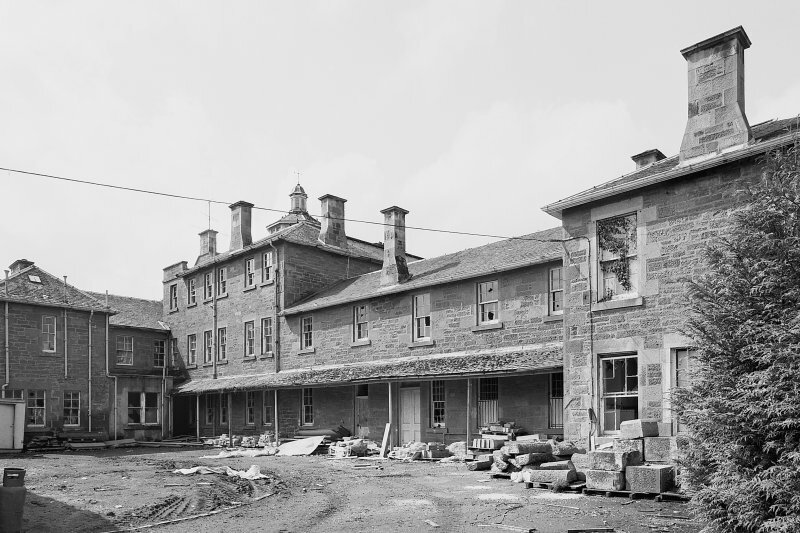 The 2nd edition OS map makes clear the scale of the complex, which included a graveyard at the west end (now built over) and a tramway from the railway station at the southern edge. 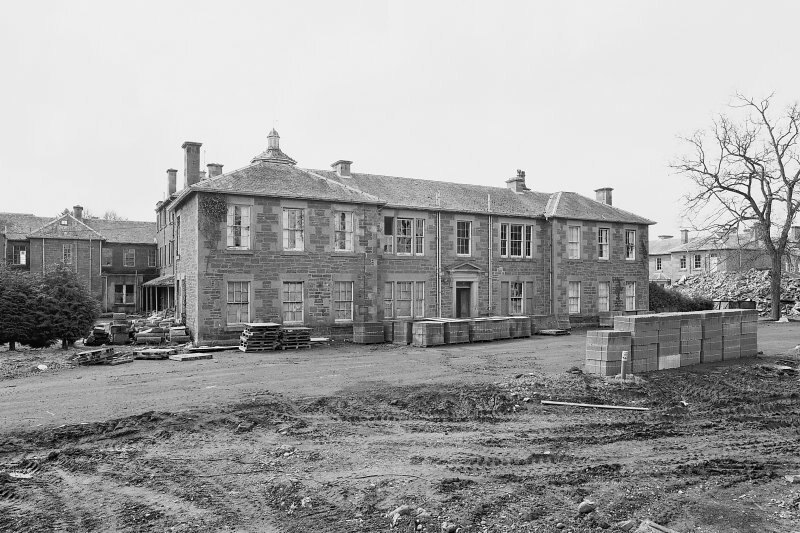 While the main building has been demolished, the administration block survives (listed C) and three substantial 'villas', possibly including the medical superintendent's house at the east side, seem to have survived. 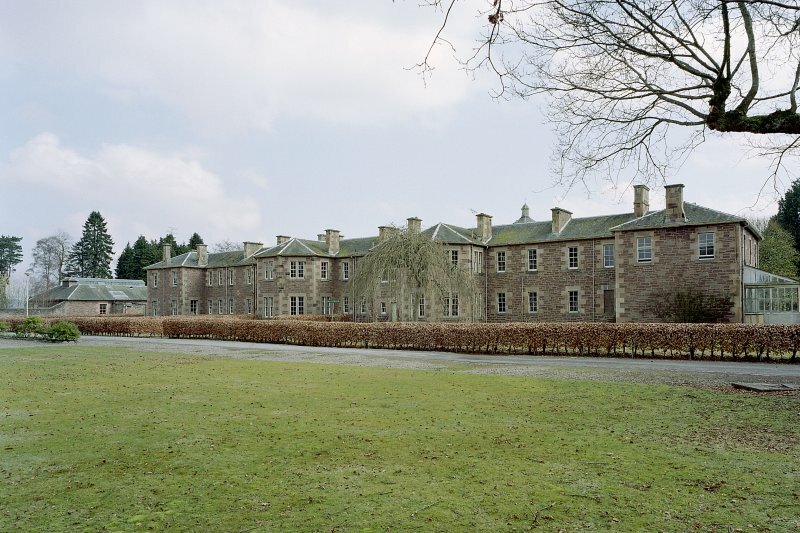 Information from HS/RCAHMS World War One Audit Project (GJB) 1 October 2013. 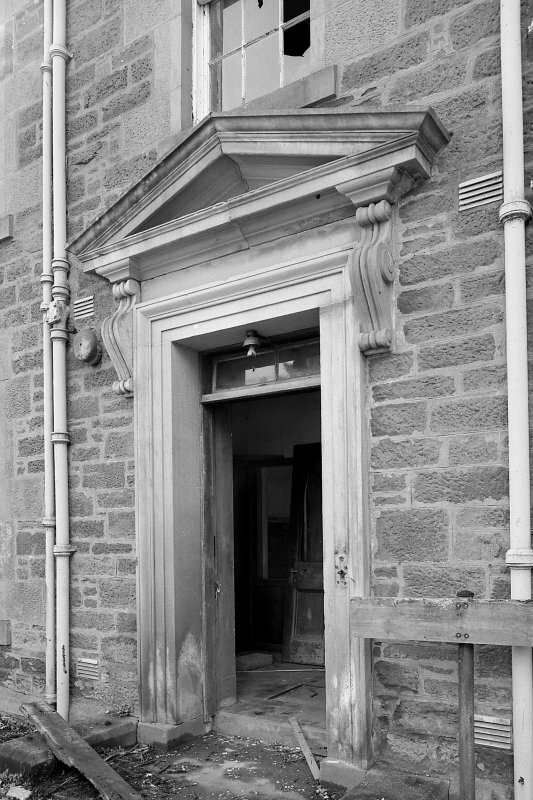 NO13NW 44.00 NO 10084 38620. 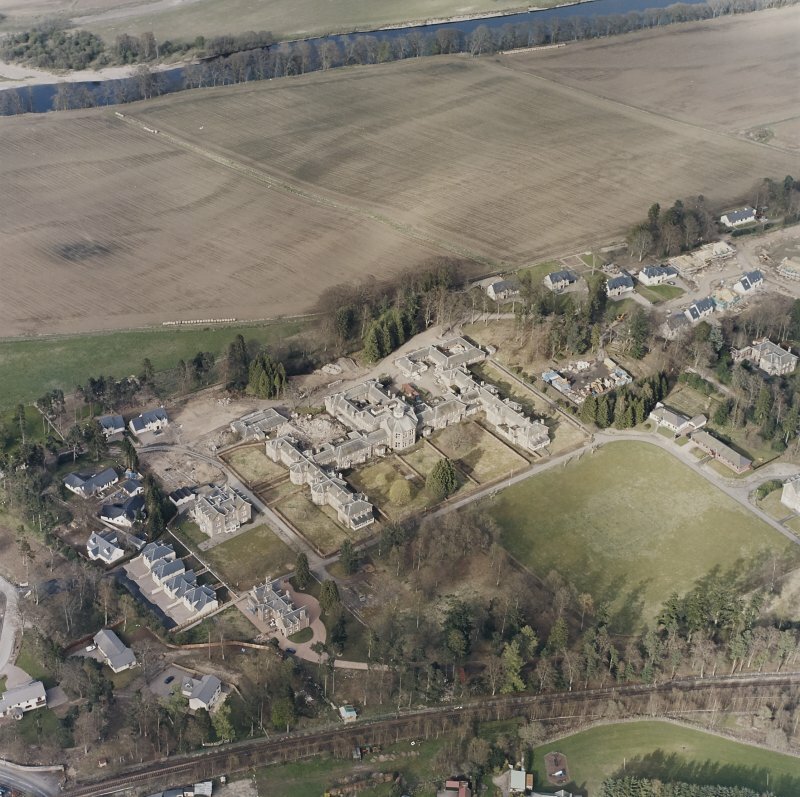 For stone circle within the grounds (NO 1027 3851), see NO13NW 4.